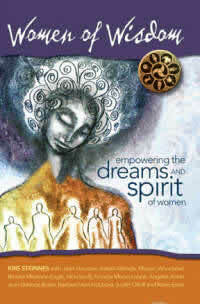 An inspiring collection of keynote presentations from Women of Wisdom between 1995 and 2006, filled with stories, art, poetry and songs by Women of Wisdom presenters, creators and participants. , Nicki Scully and Brooke Medicine Eagle. Songs as poetry from our musical guests include Holly Near, Rhiannon, Libby Roderick, Lorraine Bayes and many others. What can women offer the world? What hidden potentials and secret gifts reside in the depths of feminine spirit? 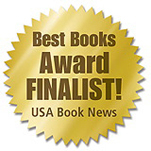 Answers bloom like wildflowers in Women of Wisdom, a mixture of spiritual, academic, and artistic contributions from professionals and lay people who share their experience of being women and being divine. Since 1993 women have been attending the WOW gathering to uncover and celebrate the power of feminine spirit. In these selections, poetry mixes with history, visual art with the inner spirit, and the intellect with soulful longing, creating an inspiring kaleidoscope of feminine reverence. Often practical, always moving, the guidance on these pages speaks to the divine within us all. — Angeles Arrien, author of The Four-Fold Way and The Second Half of Life. There is a hidden fact that rising of women today is also resulting in a re-thinking and re-development of human nature.Why? Because for a new world to be born we have to bring a new mind to bear. Critical to this is the rich mind style of women that has been gestating in the womb of preparatory time, lo, these many millennia. Rising with it can be a tremendous change in how we do things. The emphasis here being on process rather than just on product;on making things cohere, relate, grow. The relationships between people and things become more important than final outcome. The world within becomes as important as the world without. Dr. Jean Houston, scholar, philosopher and researcher in human capacities, is one of the foremost visionary thinkers and doers of our time. In 1965, along with her husband Dr. Robert Masters, Dr. Houston founded The Foundation for Mind Research. She is also the founder and principal teacher since 1984 of the Mystery School, a school of human development, a program of cross-cultural, mythic and spiritual studies, dedicated to teaching history, philosophy, the New Physics, psychology, anthropology, myth and the many dimensions of human potential. She also leads an intensive program in Social Artistry with leaders coming from all over the world to study with Dr. Houston and her distinguished associates. Since 2003, she has been working with the United Nations Development Program, training leaders in developing countries throughout the world in the new field of social artistry. Purchase this video recording of the inspiring talk by legendary Jean Houston for $15.00! After you have purchased the video, we will send you a link to download the video. Climate change calls us to make an enormous transition very rapidly — changing our economy, our energy systems, our food growing systems, our patterns of work, socializing and play — and doing it now, not sometime in the vague future. One of the most powerful responses to this challenge has been the movement toward relocalization: taking root again in community. The Transition Initiative movement is one inspiring example: encouraging people to organize their own communities to plan for a creative descent into a less energy-intensive future. What are the strengths of this movement, and in what ways could it be even more powerful and effective? How do we make the transition into a just, sustainable and abundant world? 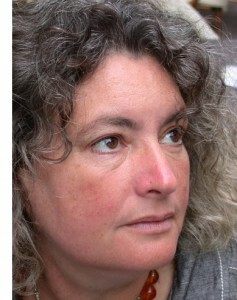 Starhawk is one of the most respected voices in modern earth-based spirituality. She is also well known as a global justice activist and organizer, whose work and writings have inspired many to action. 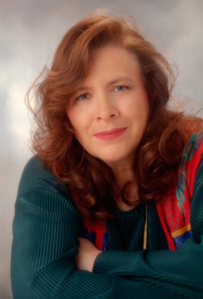 She is the author or co-author of twelve books on Goddess religion, earth based spirituality and activism, including The Spiral Dance, and The Fifth Sacred Thing, now in development as a feature film with Yerba Buena Films. She has trained activists in direct action and organizing, taught earth-based ritual, healing, and community building worldwide, and directs Earth Activist Training, which combines permaculture design with a grounding in spirit and a focus on organizing skills. Purchase this video recording of the inspiring talk by Starhawk for $10.00! Commemorating ten years of inspirational music! Seattle’s renowned Women of Wisdom Conference in Women’s Spirituality over the last 10 years. National and regional artists are supporting WOW Foundation’s work with women and community through this recording. Featured artists are Holly Near, Ferron, Libby Roderick, Rhiannon, Cris Williamson, Lisa Thiel, Susan Osborn and Shawna Carol. Our regional artists are Lorraine Bayes, Marybeth Saunders, Marita Berg, and Pamela Gerke leading the Women of Wisdom Sacred Fire Choir. Purchase your copy and support WOW! 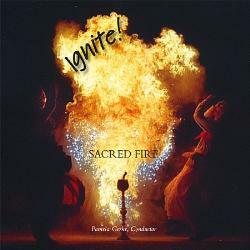 Sacred Fire’s music honors Earth, celebrates Spirit, and illuminates the Divine Feminine in all, with creative and lively arrangements that integrate the Choir’s rich, spirited sound with a full and energetic band. Ignite! 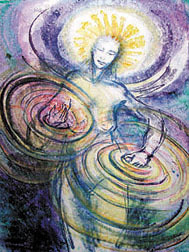 is an inspiring collection of songs written by members of Sacred Fire and their Conductor/Arranger, Pamela Gerke, and by celebrated artists of earth-centered and feminine-centered spirituality including: Shawna Carol, composer of Goddess Chant and her newly released Gaia Rocks; Z. Budapest, well-known Wiccan author and Priestess; Abbi Spinner McBride, popular singer/songwriter in goddess and Earth-based spirituality circles; and Linda Hirschhorn, composer and performer of feminine-oriented Hebrew and other spiritual songs and chants. Ignite! also includes a tune by nationally famous blues artists, Susan Tedeschi, Derek Trucks and Kofi Burbridge. This is a collection of songs that truly ignite the power of the rising feminine energy on earth!Sacred Fire Choir was a Seattle-based community choir that was born through the creation of performances of music and theater at the annual Women of Wisdom conferences in Seattle and performed often at the popular Gaia’s Temple Goddess Worship Services with Rev. Judith Laxer in Seattle. 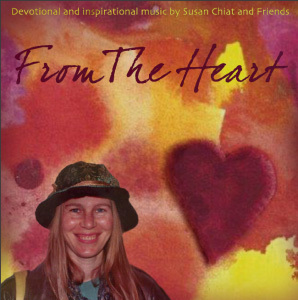 The album is a magical tribute to Susan’s life and music and a lovely addition to your collection of spiritually uplifting and devotional music. The album includes the songs and music of Susan and some of her closest friends plus contributions from many very talented musicians and artists. It will feature Susan’s song “Divine Mother” which will be sung at the conference plus many other beautiful songs written by Susan and her friends. It will also feature some of Women of Wisdom’s favorite artists and musicians from the past such as Shawna Carol, Annie Silverman, Betsy Tinney, Marybeth Saunders, Amy Madden, Pam Gerke and others. Buy any 2 CD's together and pay just $25 for both!